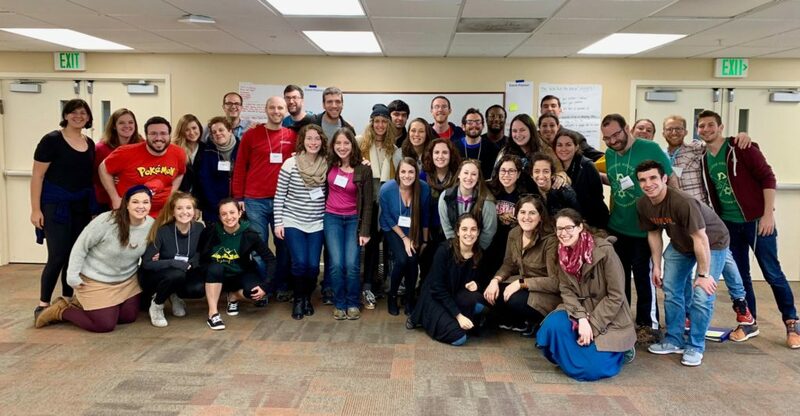 Earlier this month, 34 current and future MHWOW hosts (and a few staff) gathered outside Baltimore to create an intentional community with the purpose of exploring best practices for hosting. 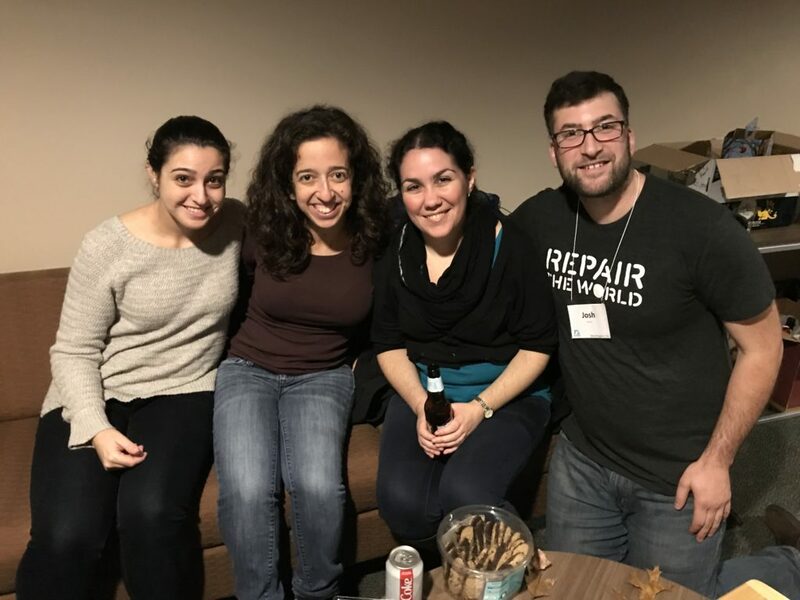 Hosts from as far away as Halifax, Nova Scotia, Canada and Medellin, Colombia came together to share their unique experiences and tricks they have picked up along the way to help our new Moishe House Community Builders get started on the right foot. We call this weekend Elevate. 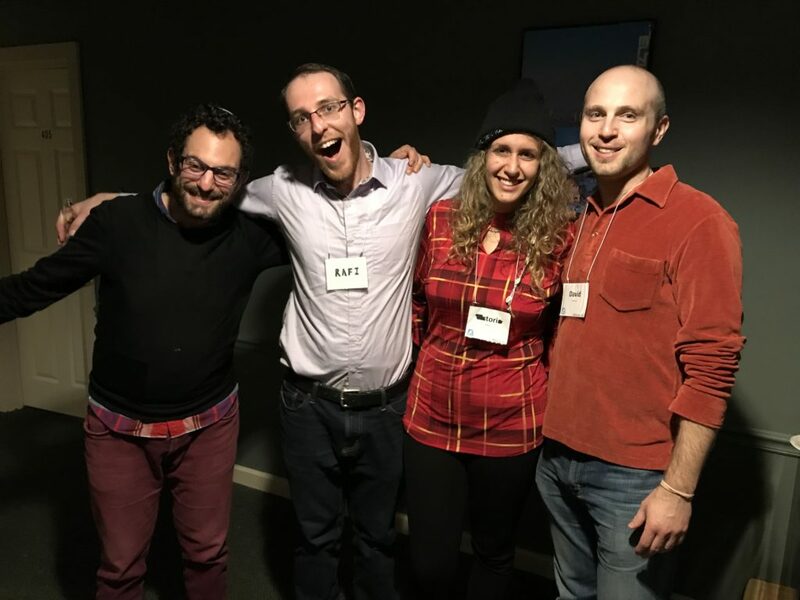 Throughout 2018, Moishe House hosted 18 staff-led Jewish Learning Retreats and only one is exclusive to MHWOW hosts. All of our sessions revolved around giving the attendees concrete skills and tools to bring home to their communities in addition to creating a space where hosts could workshop their programs, get feedback from other hosts and staff, and explore their own abilities as a host. Sessions covered topics like how to facilitate your friends, logistics and long-term planning, program workshops, making Jewish text more accessible, and Jewish rituals 101. As I sit here reading through the survey responses for the weekend, one theme keeps coming up again and again: collaboration is the backbone of these gatherings. More than anything else, hosts enjoyed getting a chance to meet other hosts in their area, share their experiences, and hear more about the successes and challenges that hosts are having all over the globe. As a staff, we worked really hard to make sure that we were as transparent as possible about everything on this retreat. We evaluated sessions in real time as a group as they were happening, we were up front with participants when something had to be changed at the last minute. The feedback we have gotten so far has helped to remind us as a staff that though we may be doing this as full-time professionals, many of you have so much talent and expertise from all of your diverse backgrounds and experiences. One of our biggest strengths at MHWOW is the ability to crowdsource a few times a year at gatherings like this and throughout the rest of the year online through our main Facebook group and multiple geographically associated Facebook groups. Over the past few months, I have had the privilege to work with the entire MHWOW staff team to bring this experience together. Without them, none of this would have been possible. We are thankful to our educator, Loren Berman, who brought so much excitement and expertise to our Jewish content. And we are thankful for the Maimonides Foundation for supporting our staff-led Jewish Learning Retreats! But most of all, we are thankful for you, the MHWOW Community Builders! The majority of our job takes place on a computer and it is so amazing for us as a staff to get an opportunity to interact with you all in person! The amazing conversations we had, memories we shared, and songs we sang helped us all recharge our batteries a a little bit and for that, we are very grateful.